When I was much, much younger, I spent my time in art college immersed in a wide range of creative arts. I went on to spend most of my twenties travelling and living in different countries, looking for adventure and a different life to the one I had known growing up in the suburbs of Sheffield. At first I made a simple living by making jewellery from semi-precious stones and sea shells, and co-running a reggae bar on a paradise beach. I went on to work as an English and Art teacher for several years in international schools and kindergartens across Thailand, where I developed a love and passion for working with children, which I have continued in some form ever since. I also opened and ran a guesthouse and bar for some time, spending time with some crazy and fabulous people from all over the world and all walks of life. A life in Asia meant spending a great deal of time out in incredible natural surroundings like I had never known before. It was during this time that my eyes were opened to a pressing need to take a role in the protection and conservation of our beautiful planet, seeing first hand some of the most pristine and breathtaking natural environments in the world, whilst also becoming aware of how quickly they were being degraded and ultimately disappearing. I returned to the UK to go back into study, hoping to develop a deeper understanding on the workings of our planet in order to know my role in being a part of the solution. I became a passionate environmental activist, getting myself into all kinds of trouble in all kinds of places (sometimes disguised as a polar bear) and moved to Edinburgh to study Ecology. In the midst of all the science and maths (that unfortunately fills quite a part of Ecology study) we learnt a lot about environmental destruction, but one day we had a lecture on permaculture. Suddenly here we were, focusing on solutions instead of problems. It was like a light at the end of the tunnel, and I was hooked. On our return we moved to Catalonia, Spain and were given a beautiful abandoned piece of land to care for, completely off grid and with a tumbling down old stone house to live in. My partner at the time and I had a vision of turning the land into a permaculture education centre, to rebuild the house, and to run courses from and to live as self sufficiently as possible. We visioned and designed, had wwoofers, family and friends all helping out. It was a beautiful time. Unfortunately after a year and a half of love and struggle we began to realise that this was not our path. The well on the land (our only water supply) had unfortunately ran dry after the first few months, and our garden (and family) were barely surviving from the rainwater collection from our little roof. We had returned with very little savings from our travels and opportunities for local work were extremely limited, as our area was in the grips of the 'crisis' with a local 70% unemployment rate. Although we had an incredible local community who regularly brought us surplus food from their established farms and gardens we decided that the best option would be to return to the UK temporarily where I had some opportunities to work in school gardens. For my son and I, the temporary life in the UK has stretched further than we expected it would, and I now look back at that land with incredible appreciation for all we learned during our time there. It has been three years now back in the UK, and I have been developing my work in school gardens through my business Organic Playgrounds. I've been using permaculture design both in the creation and structure of the business and in the designs of the school gardens themselves. I focus on designing natural habitats for children, using round timbers, willow and native planting. In 2016 I trained as a Forest School teacher and a Children in Permaculture educator, and began running training courses for teachers on the benefits and necessity of outdoor learning and wild spaces for children, with ideas on how to take their curriculum out into the garden or forest. I have also been developing and running after school classes for children in permaculture and organic gardening. 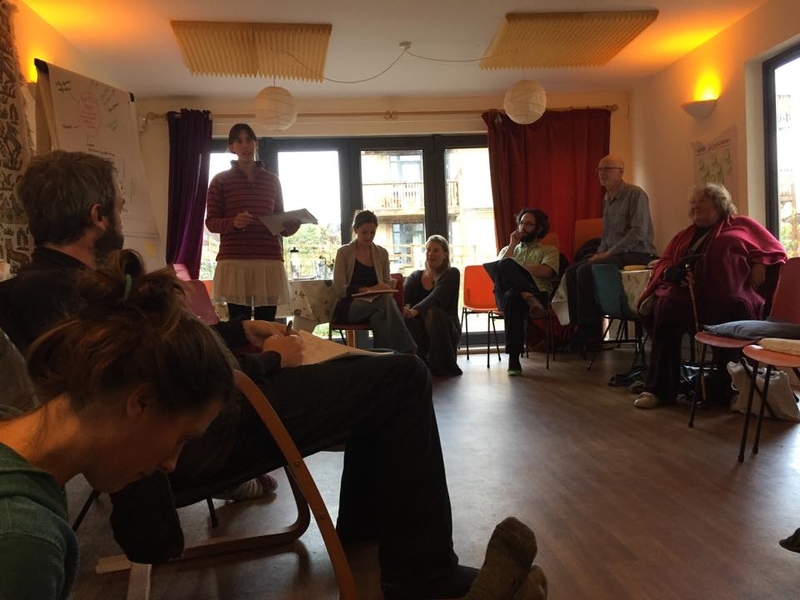 I was fortunate enough to create and run the childrens area and activities for both the International Permaculture convergence in London, 2015, and the UK National permaculture convergence in 2016. 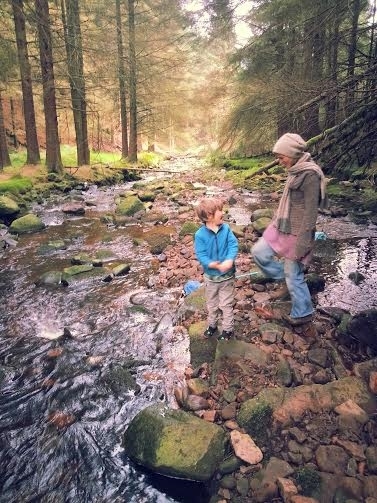 I home educate my 7 year old son, using a blend of Steiner Waldorf and permaculture education, with a whole lot of freedom, travel, being outdoors and radical unschooling thrown in there. He is thriving, and this has made my pre-conditioned idea of how education 'should' look for a child shift and open. It's a hard thing to let go of conventional ideas, especially since I don't always realise that I'm holding onto them in the first place, and it's been a transformative journey for both of us. 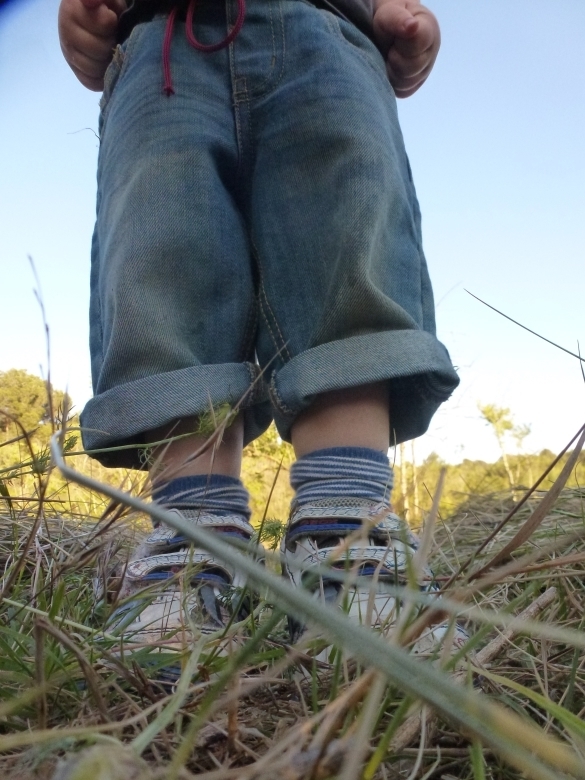 You can read more about our home education/world schooling/unschooling in my blog pages. In December 2016 we decided it was time for more adventures, this time to Indonesia, New Zealand and Australia, where we spent 8 months exploring beaches, mountains, oceans and forests, feeding our wild hearts and souls. We stopped in to visit as many inspiring permaculture projects, people and eco-villages as we could along the way. (You can read more about these in my blog pages too). We returned to the UK in August 2017, and we are now based in beautiful wild Pembrokeshire, south west Wales.